Home furnishing brand Eurotex has six locations in Singapore, one of which is within Bedok Mall (311 New Upper Changi Road). Established in 2008 as a sister brand to Oasis Living, Eurotex is a one-stop home furnishing shop selling bedlinen, beddings, ready-made designer curtains, cushion covers, and bath accessories. 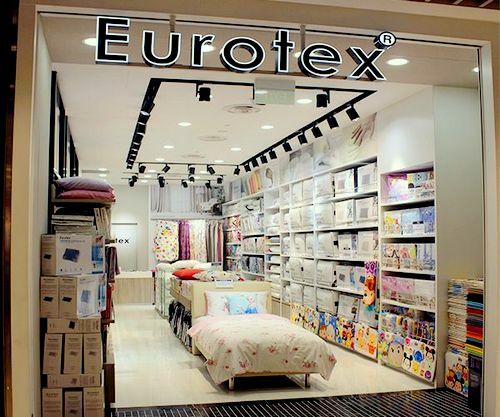 Aside from the company’s own range of products, Eurotex is also an authorized licensee for authentic Disney bedding and bath products in Singapore. In addition to their own boutiques, Eurotex prodcts are stocked in major departmental stores across Singapore, including Robinsons, Metro, Isetan, BHG, and OG. The official Eurotex Singapore Facebook brand page is located at www.facebook.com/EurotexSg. Eurotex SG Facebook page is a great resource for information about the company’s new products, promotions, events, and more.